Social at 6pm, Dinner at 6:30, Presentation at 7pm. Bob earned BS and MS degrees in nuclear engineering from the University of Michigan, and earned professional engineering certificates in California in nuclear engineering and in mechanical engineering. He worked at General Atomics in San Diego for 24 years, doing core physics analysis for the GCFR (Gas Cooled Fast Breeder Reactor), the MHTGR (Modular High Temperature Gas Cooled Reactor), and TRIGA reactors. He also led the “Statistics and Measurement Control” group at General Atomics for a few years. After leaving GA, he performed nuclear criticality safety calculations using the MCNP code for nuclear fuel processing and handling at several DOE sites for about 14 years. This included working in Richland at Fluor for about 7 years and at PNNL for 2.5 years. Starting in 2014, Bob used the MCNP computer code to perform nuclear analysis calculations on the Shroud of Turin to solve the carbon dating problem for the Shroud. In October of 2014, Bob presented the results of these MCNP calculations at the last conference in the United States on the Shroud. His presentation was very well received by the 164 participants. He is now organizing the “International Conference on the Shroud of Turin”, which will be held at the TRAC Center in Pasco on July 19 to 22 of this year. Dr. John L. Orrell is an experimental nuclear and particle physicist. His research interests include neutrino properties, the search for dark matter, and applications of radiation detection for national security. His technical expertise includes radiation detector design, low background methods, and radiation transport modeling. Dr. Orrell has worked on experiments including solar neutrino measurements, searches for neutrinoless double beta decay, and searches for direct detection of dark matter. Instrumentation development efforts have included Compton-suppressed high-purity gamma-ray spectrometers, low energy measurements using gas proportional counters, and low background liquid scintillation counter design. Dr. Orrell received his B.S. degrees in physics and philosophy in 1998 from Rensselaer Polytechnic Institute and Ph.D. degree in experimental nuclear physics in 2004 from the University of Washington. His graduate dissertation work was performed with the Sudbury Neutrino Observatory (SNO), for which he shared the 2015 Breakthrough Prize in Fundamental Physics with the members of SNO and other experimental collaborations responsible for the discovery of neutrino oscillations. He took a two-year post-doctoral fellowship at Pacific Northwest National Laboratory prior to joining the research staff in 2006. Come join your fellow nuclear compatriots for a casual evening of social networking, games and fun. All types of beverages will be available for purchase as well food. Ms. Rhonda also allows food from other venues along the parkway. So grab your friends and colleagues and join us for dinner, games and networking. Topic Summary: For over 60 years, the United States has used radioisotope thermoelectric generators (RTGs) to provide reliable, long-term power for space exploration vehicles. Continued use of RTGs requires a new supply of Pu-238 as well as improved processing techniques to reduce contamination and cut costs. Ongoing work at PNNL is pursuing sol-gel techniques as an improved processing technique. Bio: Jeff Katalenich is a staff scientist and Linus Pauling Postdoctoral Fellow at the Pacific Northwest National Laboratory since 2014. He has earned a BS in mechanical and PhD in nuclear engineering and has additional experience in the fields of applied aerospace engineering, materials science, and chemistry. While attaining his mechanical engineering degree, Jeff was the project manager of an Air Force Research Laboratory sponsored university satellite project, performing the initial work on a vehicle that is planned to launch in March 2017 from Cape Canaveral. His PhD thesis research was experimental and involved creating an apparatus to make plutonium fuels (using cerium surrogates) using a modified sol-gel process. Currently, Jeff is demonstrating the production of plutonium-238 dioxide microspheres for space heat and power sources at PNNL. Title: "Imaging the Atomic World of Materials in 3D"
This talk will explain the power of microscopes to zoom in and look at atom arrangements in daily materials and materials that are important for large scale energy production facilities (such as nuclear reactors). It will also discuss how material scientists are changing the arrangement of atoms to make better materials, thereby improving the quality of our daily lives. Dr. Devraj was recently featured in Steve Ashby's monthly column in the Tri-City Herald, "Making better 'stuff' at PNNL". 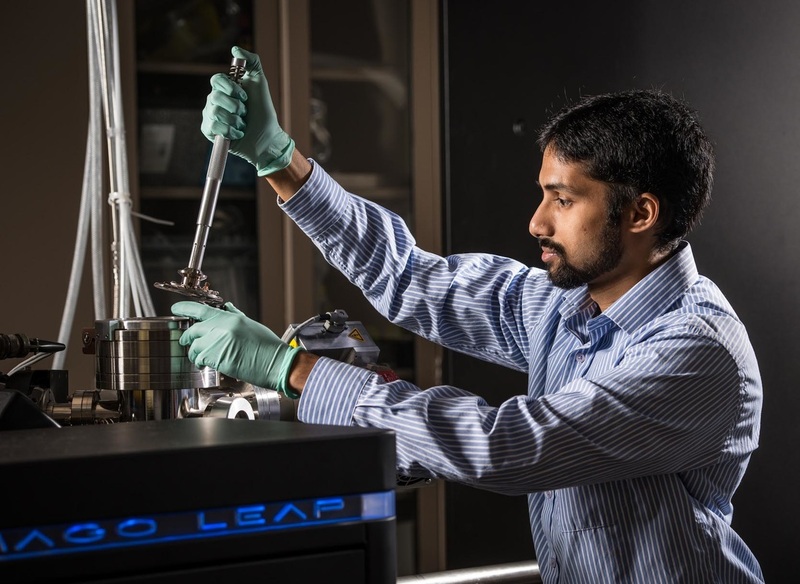 Learn more about Dr. Devaraj on the Environmental Molecular Sciences Laboratory Website. Pre-pay for your diner online! Use our handy dandy Pay Pal link below. We will also accept cash or check (made out to ANS-EWS) the night of. Nuclear Science Week Pub Trivia! Come test your Nuclear Knowledge! We are pleased to have Dr. Raab, Head of the Laser Interferometer Gravitational Wave Observatory (LIGO) in Hanford, WA present to us less than a week after the first anniversary of the first gravitational wave detection that ROCKED the scientific community and the entire world. The first detection was observed on September 14, 2015, and more have been observed since. If you have questions, do not miss this special opportunity! Dr. Fred Raab received his PhD in physics from the State University of New York at Stony Brook in 1980. He worked at the University of Washington as a Postdoctoral Scholar and Research Scientist, performing tests of fundamental symmetries in atomic systems, looking for hints of physics beyond the Standard Model. In 1988 he joined the faculty at Caltech, where he co-authored the LIGO Construction Proposal. Dr. Raab's research included work on detector optical configurations, suppressing noise from Brownian motion and engineering research for the LIGO vacuum system. He lead the design teams for the initial LIGO seismic isolation and suspension systems. In 1994 he was named Head, LIGO Hanford Observatory. Dr. Raab is a Fellow of the American Physical Society and has served as Secretary-Treasurer of its Northwest Section. He also has served on NSF review panels for large projects in physical sciences, engineering and education. August 2016 The Second Annual ANS-EWS Networking BBQ! This event kicks off our 2016-2017 ANS-EWS Program Season. Last year was the beginning of a new era for our local section as we saw increased attendance (particularly with early career professionals) coupled with a variety of new and engaging monthly programs. We will continue to expand upon the progress made last year and request any and all feedback. 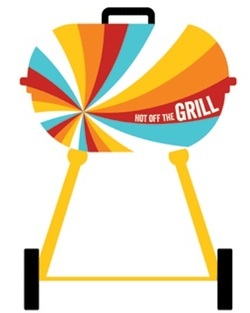 This BBQ is also the perfect opportunity to renew your Local Section Membership and ensure your member profile is up to date with the correct name, email address, etc, so you don't miss all the fun and intriguing events to come! There is no fee to attend this event so tell your friends, tell your colleagues and bring the whole family for our Second Annual Networking BBQ! ANS will provide the burgers, dogs and buns and you bring a side dish to share with your beverage of choice. Lawn games, blankets and chairs are encouraged. Neutrinos are weakly interacting neutral particles that are emitted in processes such as beta decay. Since their first observation in 1956, neutrinos have provided a number of surprises. Observations of solar neutrinos verified that the sun generates energy by nuclear fusion, but ”The Solar Neutrino Problem” grew out of the fact that only 1/3 as many were observed as predicted by models of the sun. From several experiments involving solar, atmospheric and accelerator produced neutrinos, it became clear that flavor oscillations were responsible for the ”The Solar Neutrino Problem.” A variety of experiments have now constrained the parameters associated with neutrinos, but much remains to be done. Join us for a Technical Tour of Areva Richland. Areva Richland's expertise covers the entire nuclear fuel cycle, particularly fuel production. Tour is limited to the first 25 individuals that sign up. Cheese and Wine Networking Social! ﻿Join us for a relaxing evening of networking and mingling with local professionals. A wide assortment of cheese and wine is available for purchase; as well as a variety of items from their delicious menu! Dr. James Conca will present on the actual costs of energy from the major sources coal, gas, wind, solar and hydro. Subsidies will be discussed with sources of each including the entity enacting and paying the subsidy. Dr. Conca received his PhD in Geochemistry from Cal Tech in 1985. He started working on the Yucca Mountain project that summer with Lawrence Livermore and continued working on YM until the license application was submitted to NRC, for which he wrote the original unsaturated zone AMR. From 1987 – 1990, Conca was with PNNL, then moved to WSUTC, working with Dr. James Cochrane in opening the WSU-TriCities Branch where Dr. Conca built the Environmental Science Laboratory, and graduated six Masters Students and the Branch’s first PhD, Wayne Martin. He then started up a DOE-spinoff business called UFA Ventures with Dr. Judith Wright based on a centrifuge technology. In 1999, he went to LANL, and in 2004 became Director of the WIPP’s environmental monitoring facility in Carlsbad, NM. He then came to the Tri-Cities as the Director of the WSCF Labs at Hanford and at the Center for Laboratory Science, a radiological facility at CBC. he is presently Senior Scientist back at UFA Ventures. 6:00 pm Interact with peers, scientists and researcher from the area attending the event. 6:30 pm Buffet dinner is served. 7:00 pm Keynote Speaker Dr. James Conca will start. Join us for our annual holiday celebration; featuring Swing Unlimited! This year's event will be held at the Courtyard Marriott Richland Columbia Point. 6:00 pm Social: Networking Bingo starts! Interact with your peers and compete to win prizes by identifying people who meet the criteria in each bingo square! 6:30 pm Dinner: A buffet dinner will be served consisting of a main course & sides, dessert, coffee, tea and water. 7:00 pm Dancing: Grab your partner and join us on the dance floor! Keynote Speakers: IsoRay Medical Team: Bill Cavanagh V.P., Dale Boyce MS, and Krista Cline, Production Manager. Bill Cavanagh, IsoRay Medical VP, will familiarize us with some clinical medicine principles and science. 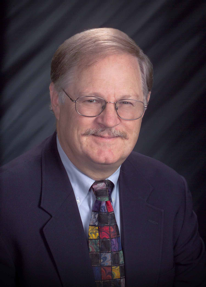 Dale Boyce, MS, will present on the physics of cesium-131 and its creation and challenges. Then Krista Cline, production manager, will walk us through manufacturing of sources from isotope receipt to finished product. 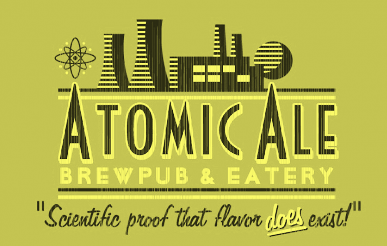 The Paper Street Brewery, one of the most popular Trivia places in the Tri-Cities, will be hosting us for our October gathering celebrating Nuclear Science Week! The venue will be serving an assortment of tasty beverages and food for purchase but just in case you are in a mood for something different, PSB has mentioned that any food from restaurants along the Parkway are welcome. Form your trivia team today (6 members max) and come join us as we network, test our nuclear knowledge and have some good ole' fashion fun! 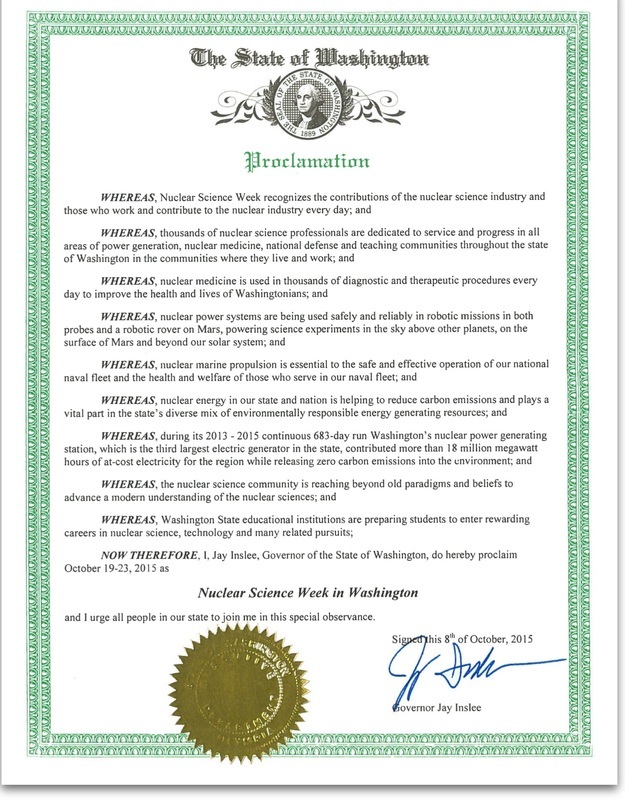 We are pleased to announce that Governor Jay Inslee proclaimed October week of 19-23 as Nuclear Science Week in the State of Washington. For that reason the 20th will be an especial occasion you can't miss. Nuclear Trivia Night and Nuclear Science Week celebration. Title: "High-Yield Neutron Generator to Drive Low Enriched Uranium Subcritical Mo-99 Production System." Abstract: The presentation will focus on the technology behind a new gas target neutron generator recently developed by Phoenix Nuclear Labs (PNL). This neutron generator has achieved a D-D fusion neutron yield of 3x1011 n/s. This state-of-the-art neutron generator technology is essential for many applications of critical global importance including neutron radiography, medical isotope production, detection of explosives and nuclear material, materials characterization, and others. The presentation will touch on all of these applications, but will focus on medical isotope production. In this case, the PNL neutron generator will be used to drive an aqueous LEU subcritical assembly (developed by SHINE Medical Technologies) that produces fission product isotopes such as Mo-99. An overview and status report of the medical isotope production project will be provided. Speaker Bio: Dr. Radel is the President of Phoenix Nuclear Labs (PNL) and holds a PhD in Nuclear Engineering from the University of Wisconsin-Madison. He has authored or co-authored three patents and numerous technical papers. His research at the UW focused on the development of pulsed fusion-based neutron generators for detecting clandestine material, including highly enriched uranium. Dr. Radel then worked at Sandia National Labs where he developed dynamic systems models for the space-based fission reactors. He also developed and built advanced power conversion prototypes for both lunar and terrestrial applications. Dr. Radel has been with PNL since 2010, where he leads a team of 35 scientists, engineers, and support staff. 6:30 pm Dinner. The dinner cost 20 for ANS members and 22 for non member. Please pay in person while at the event. 7:00 pm Keynote Speaker Dr. Ross Radel will start. This event kicks off a new era for the ANS Eastern Washington Section. This upcoming year of events will be unlike ever seen before! Come learn what we are all about and sign up for our distribution so you don’t miss out on the exciting opportunities to come. There is no fee to attend this event so tell your friends, tell your colleagues and bring the whole family for our very first ever Networking BBQ! ANS will provide the burgers, dogs and buns and you bring a side dish to share with your beverage of choice. Lawn games, blankets and chairs are encouraged.